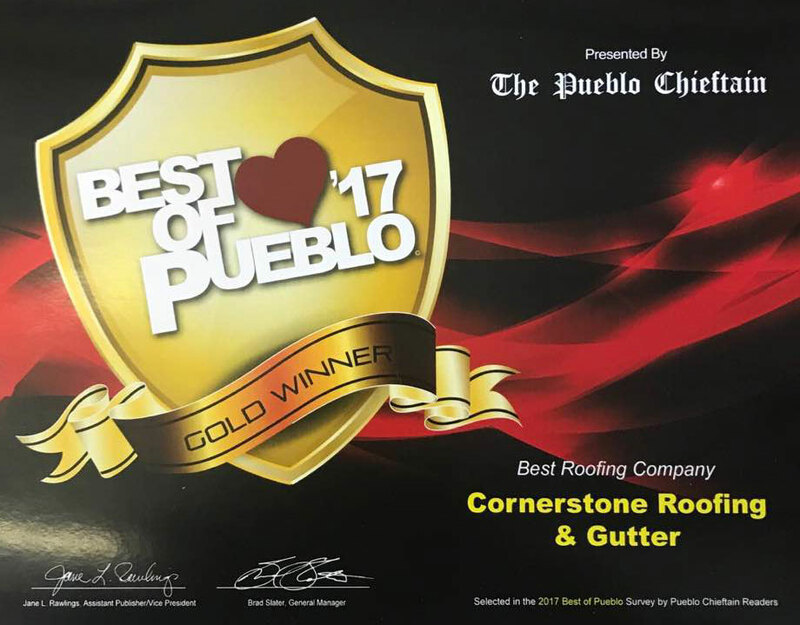 For over 40 years the owners of Cornerstone Roofing & Gutter have been serving southern Colorado with top quality roofs and gutters. We provide free inspections and insurance estimates and will work with your insurance company so your new roof is hassle free. Plus our customer service department will walk you through every step to make sure it’s a fast and easy process. Cornerstone Roofing & Gutter is licensed and bonded so all work is guaranteed. Call cornerstone roofing for your free estimate, because integrity is the cornerstone of our business. 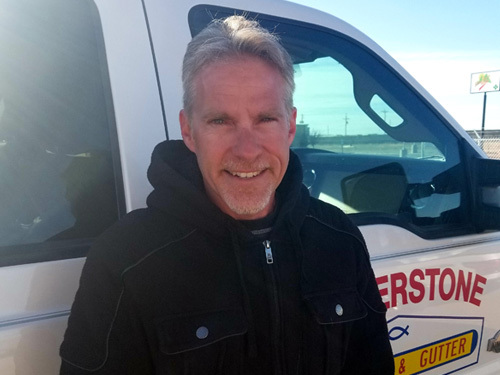 For over 40 Years, Cornerstone Roofing has proudly lived in and served in our part of Colorado. Year after Year we offer the absolute best roofing products available and back it up with expert craftsmanship and customer service. With locations in Pueblo and Colorado Springs, we are here to serve you 1st. Call today for your Free Inspection. 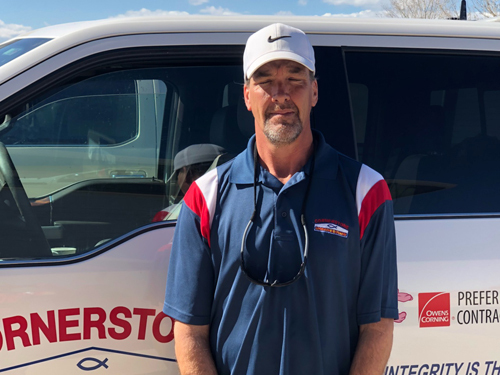 Rory is the owner of Cornerstone Roofing and is a 3rd generation roofer who has over 40 years under his belt roofing right here in Southern Colorado. 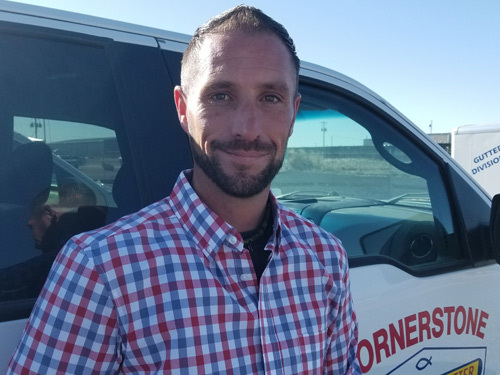 As a local who grew up here in Pueblo, Rory has built Cornerstone Roofing into a company that gives back to its community and takes pride in excellent craftsmanship. 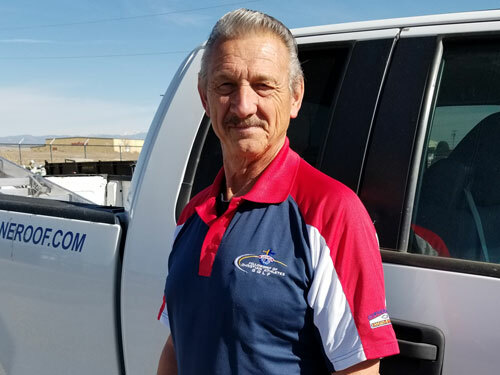 Travis is also Rory’s cousin and is a local, 3rd generation roofer He is one of our most experienced estimators with over 37 years in the roofing industry himself is extremely familiar with Colorado’s weather and roofing materials. Adam is Rory’s cousin and 3rd generation roofer. Adam is incredibly proud of the company his family has built and loves being a Pueblo native. Mason is Rory’s nephew and is a 4th generation roofer. 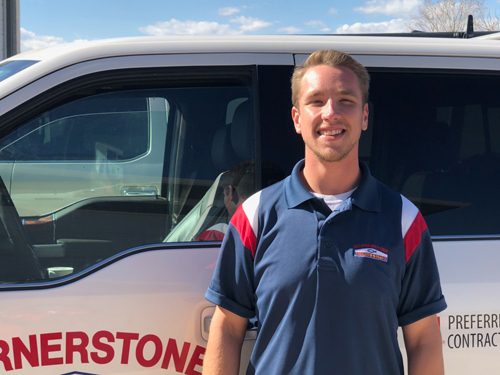 Mason has been mentored by his father and uncle here at Cornerstone and is committed to learning as much as he can about the roofing industry in Southern Colorado. 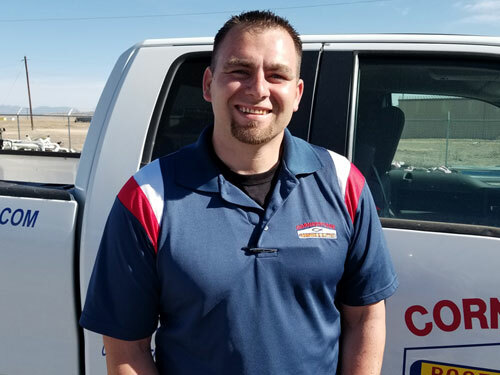 Gene has been working with Cornerstone Roofing since 2016 and has been in the roofing industry for over 5 years. He is a master musician who would have been famous if he wasn’t so good at roofing. 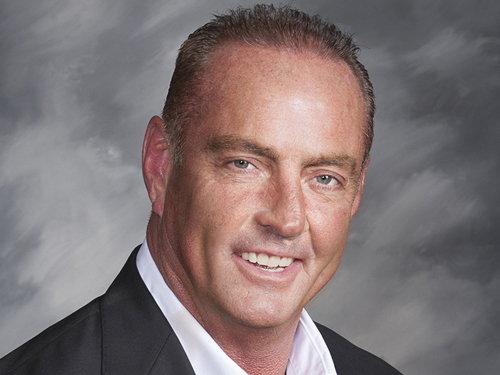 Gene prides himself on building trusting relationships and truly understanding our clients needs. Chris Martin is part of the family and has been in the roofing business himself for over 10 years. Chris joined us officially in 2014 and shows ready to rock every day. 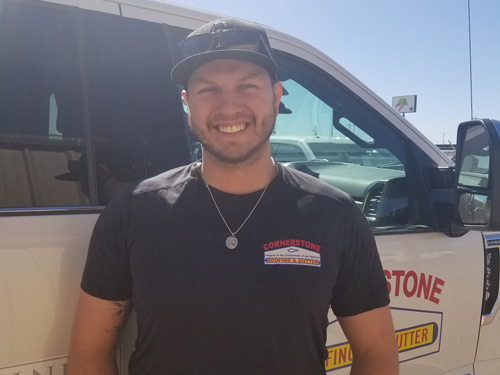 Chris loves the family heritage and long standing history of the Cornerstone Roofing name in the community. He is proud to be a part of what Cornerstone stands for. Jordan joined us last year in Sales and has extensive experience in roofing and residential solar. Jordan prides himself on being responsive and putting in the extra hours to make sure our clients are taken care of in a timely fashion. John brings us nearly 40 years of General Contractor experience and has been with Cornerstone for nearly 4 years. You can rest assured that John approach every job with an intense commitment to being on time and on budget. We love the energy and expertise he brings to every job.